We’ve gotta admit, we’ve been totally underestimating space buns. They’re a life saver on bad hair days, a warm weather staple, and a beloved look for everyone who knew that Scary Spice was the all around best Spice Girl. Usually, we reserve our space buns for daytime looks. We literally had no idea they could be so fancy schmancy, let alone work on a red carpet. 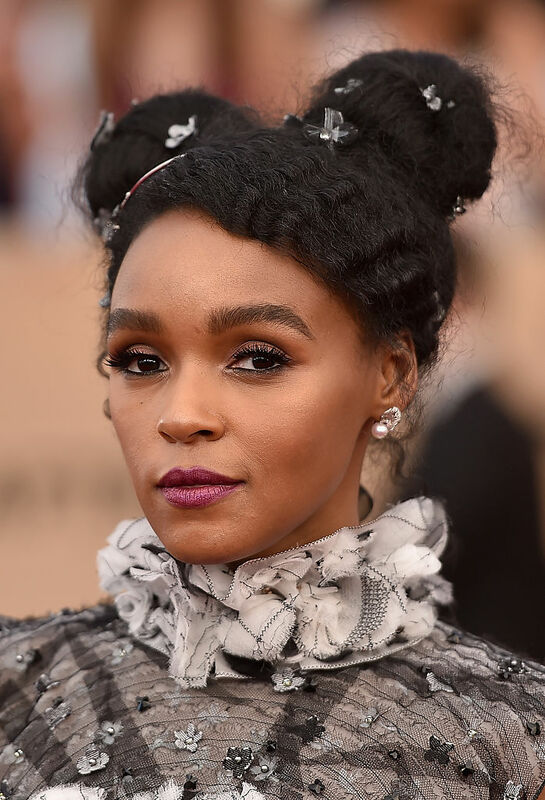 It’s safe to say that Janelle Monáe blew our minds when she stepped onto the SAG red carpet in the most glamorous space buns we’ve ever seen. 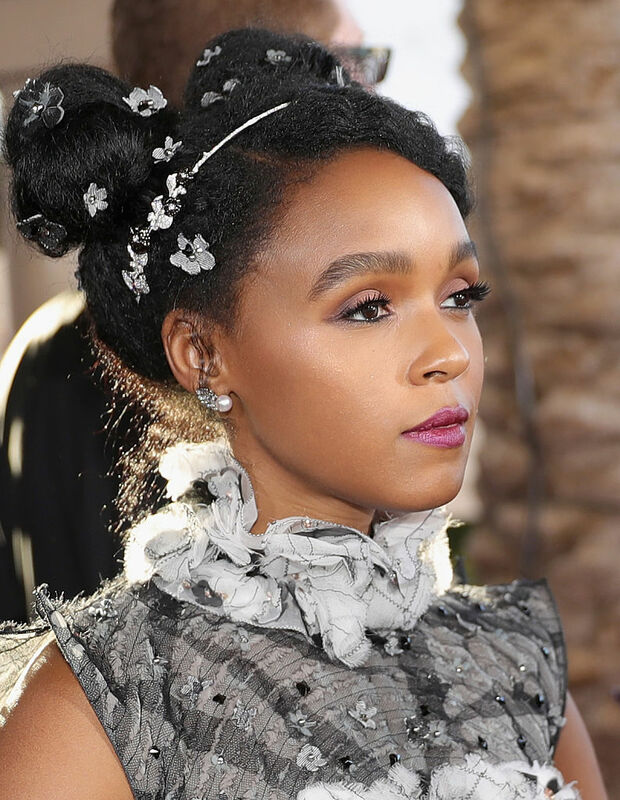 It can’t be easy to make a headband and floral double buns look effortless, but Janelle makes it look so easy. The look is so good, it almost upstages her Chanel midi. She literally looks like a painting. Even the details and bling in the back of her space buns are STUNNING! This is in no way the first time she’s shaken things up on the red carpet. 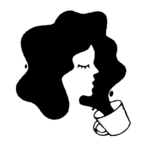 Does this woman ever have a bad hair day? 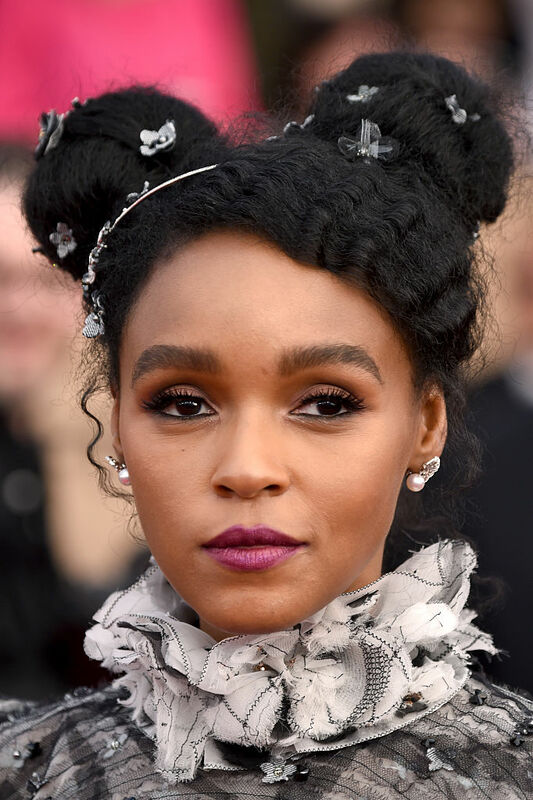 Remember when she served up a pearly beehive at the Golden Globes? Recently she took it up a whole other level with a braid crown enhanced with metallic thread. She simply can’t stop won’t stop with the inspo. We can’t wait to see what she hits us with at the Oscars. It’s bound to be pure brilliance!